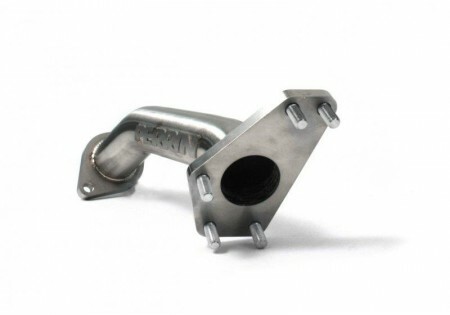 Perrin has been known since our inception for the quality of our up pipe. The up pipe was the first product we ever released and has been a leader in this market ever since. Now we introduce the next evolution of the up pipe. 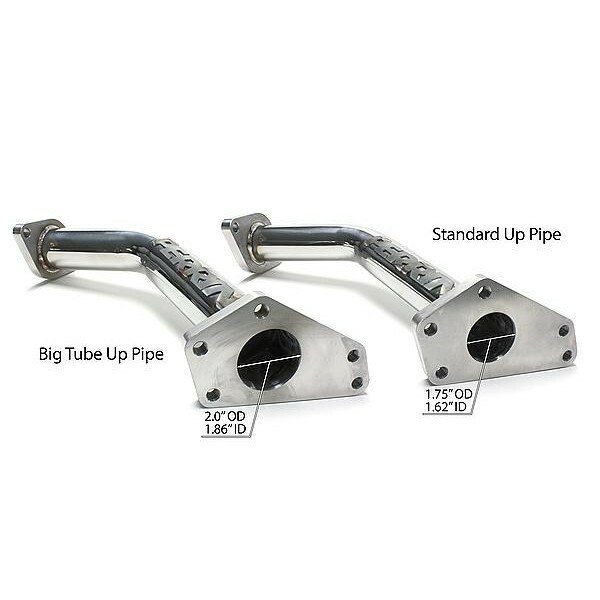 The Big Tube Up Pipe is for enthusiast who are using a larger stock location turbo and are limited by the flow rates of a stock sized up pipe. 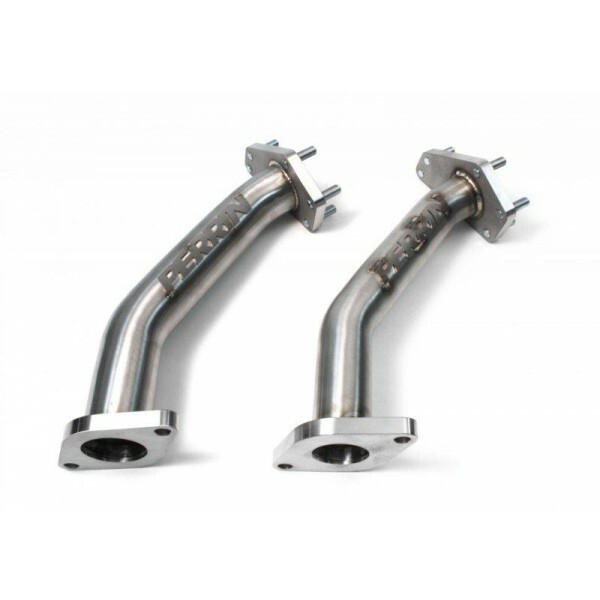 304 stainless steel tubing is CNC mandrel bent and precisely welded to perfection. Our precision CNC bent tubing eliminates the need for a flex joint, which is a major weakness in other up pipes including the OEM pipe. Flanges are all CNC machined from 1/2'', 304 stainless steel to prevent warping. Flanges are now counter on the backside for smoother transition from header to tube and up pipe to header. 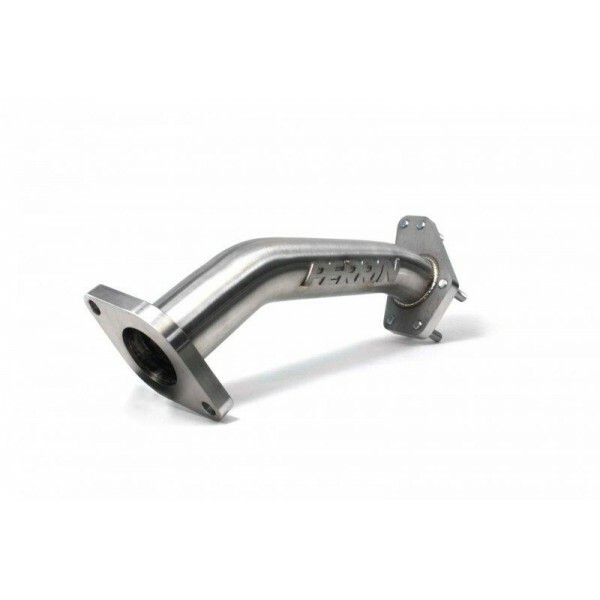 The center bores of the flanges are port matched for a smoother exhaust flow. 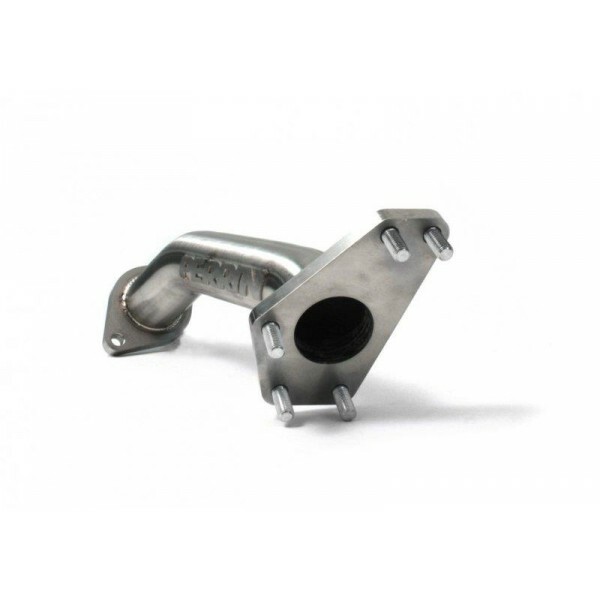 Proper sized ports increase exhaust velocity and assure gaskets will not burn out. 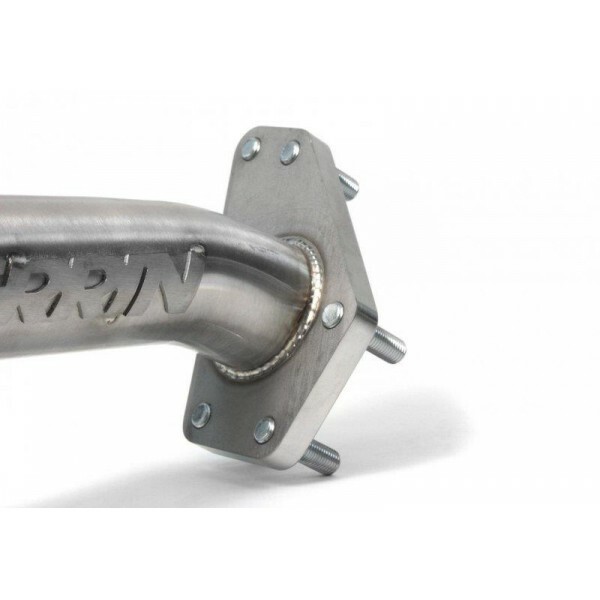 The PERRIN Big Tube Up Pipe has a 2'' diameter which best matches aftermarket headers and the inlets of aftermarket turbos. This image shows the difference between the standard up pipe (right) and the Big Tube Up Pipe (left). Great product, very appealing right out of the box! Installed this with a friend at the same time as a TBE and we finished both in about 2 1/2 hours.. wish I had gotten the Perrin exhaust manifold while I was at it!